Ha ha! Frank brought his mummy to the party! held by all the ghost and ghouls you love to fear. on October Thirty-First of every year. of a werewolf’s horrid howls and mighty moans. 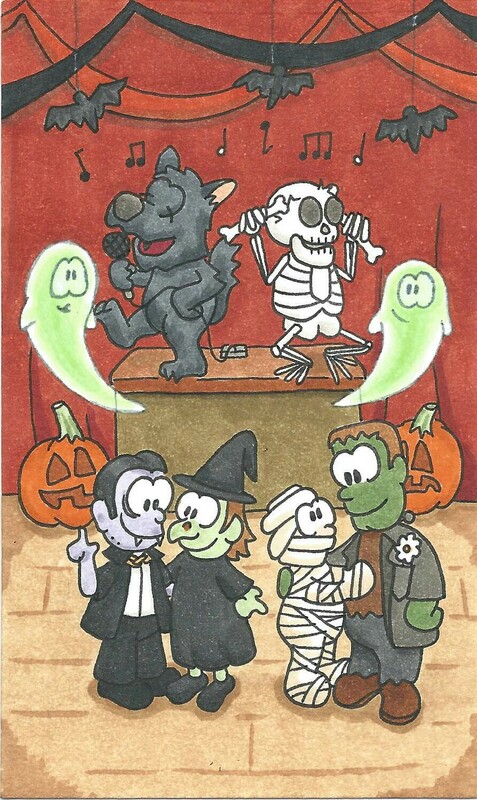 as they boogie to the tune of Monster Mash. when the hungry herds of zombies groan and gnash. if you need a deadly treat on which to munch. what they’re pouring might be red, but isn’t punch. that you have a happy haunted Halloween.